Now that Skype for Business Server 2019 has landed in preview, there are a few (very few) new things you can configure. There aren’t really any new “features” in Skype for Business Server 2019 (Preview). 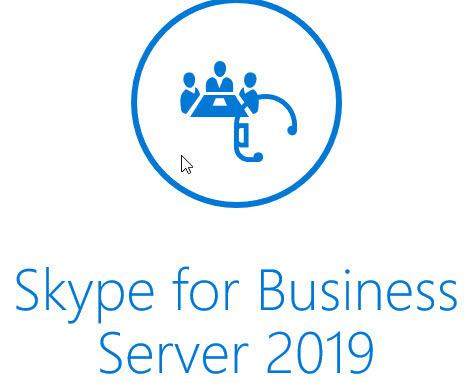 Skype for Business Server 2019 is all about hybrid with Office 365. This means you can use services in Office 365 for your on-premises topology and users. 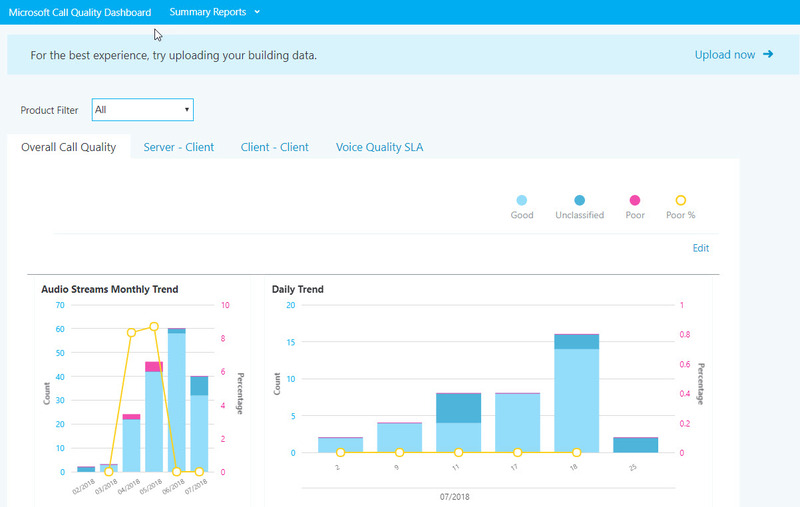 Cloud Voicemail is the voicemail service for Skype for Business Online users with the Phone System add-on. It is hosted in Azure alongside Office 365. It is the only voicemail option for Skype Online users. As in, it isn’t possible to use Exchange Online or Exchange Server Unified Messaging (UM) as the voicemail service for Skype Online users. The reason is because Microsoft is finally deprecating the UM role from Exchange Server. Lync or Skype for Business client. You get a “visual voicemail” feature similar to the experience on a smart phone. UM can do a lot more than just record a voicemail and send it as an email though. It also includes a bunch of features that I don’t often see used. Auto Attendants, Call Answering Rules and Outlook Voice Access are a great example of such features. I’ve set up Exchange UM Auto Attendants for companies previously and used it instead of the Response Group Service in Lync. 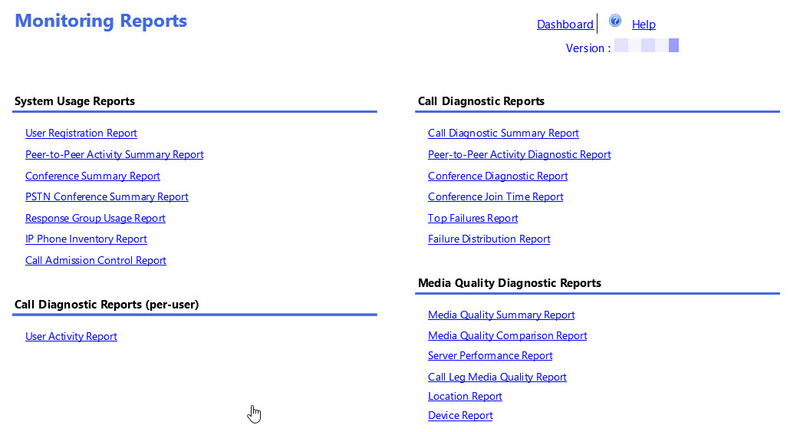 It does work well, but most Lync and Skype orgs (probably) use RGS. Remember, however, that Exchange UM isn’t just for Skype for Business. The one I don’t think I’ve ever seen used is the Call Answering Rules. Call Answering Rules are a way for a user to choose how calls are handled if they don’t answer. You’re saying that’s simple, it goes to voicemail right?. The answer is if that’s what you want to happen. You can also configure a rule to transfer the call or try to find you. You can also configure additional granularity for what happens when you get calls. Apply to all calls or just calls from certain people or just when your out of office is on. The list goes on. You’re also saying that you’d usually get the user to configure what happens to their calls in Skype for Business, right? Well, yes, to a point. You can configure additional call routing in Skype for Business. You can configure Call forwarding or Simultaneous Ring to contacts, telephone numbers, team call groups or delegates. UM kicks in if you have none of those configured or if you do, but the last action is transfer to voicemail. Call Answering Rules start when the call leaves the telephone system (Skype for Business, Cisco etc) and hits your Unified Messaging mailbox. Outlook Voice Access is a feature that is only partially used if at all. Outlook Voice Access (OVA) allows you to call your voicemail from a phone. You can either dial the pilot number and enter your extension and (Exchange UM) PIN when prompted to authenticate you or hit the voicemail key on your Skype for Business desk phone to go straight in. It is common to use OVA to listen to messages and even change your greeting. What’s less common is using OVA to read your emails to you or list your calendar appointments or to access contacts. The reason is simple. Exchange UM was launched in Exchange 2007. That was a simpler time, before modern day smart phones. I had many of the predecessors to modern day smart phones. I had a Nokia 9110 and a 9210 (look them up) and a Compaq iPaq and then several Windows Phones, I think mostly HTC. I could get access to email and calendar using Active Sync or similar on all of those. Blackberries and Palm Pilots were also being used by some, but it wasn’t that widespread. OVA reading emails and calendar appointments was a way to let people with “dumb phones” get at their info on the move. Once the iPhone 3G was launched in July 2008 (10 years ago) with Exchange Active Sync support, that was it for OVA’s advanced features. They have remained in the product since then because why not. Many Lync/Skype for Business pro’s think voicemail should be native to Skype for Business rather than in Exchange. UM in Exchange made sense because it was also used by PBX’s though. Unless voicemail was made a role in Skype for Business and it could be used by PBXs in the same way, that is. Maybe Microsoft missed a trick here. It could have been a way to get PBX houses to have Lync or Skype for Business installed. If they used it for voicemail on the PBX and that’s all, we could have reminded them that they had access to the desktop client and IM etc. As I said above, Exchange Server 2019 (Preview) doesn’t have the UM role. Right now, Exchange Online is based on Exchange Server 2016, which does have the UM role. Before long, Microsoft will be upgrading Exchange Online to 2019 and thus killing the UM role in Office 365. Now remember, Exchange Online UM can be used by Skype for Business Server and PBXs as voicemail. For PBXs, however, time is running out. Microsoft announced that they were discontinuing support for session border controllers to connect PBXs to Exchange Online UM over a year ago. The initial deadline was July 2018. This has been extended in April 2018 from July 2018 to to April 2019 to give people more time to prepare and find an alternative. This, too, is clearly a precursor for UM being dropped from Exchange. …or from the User form within the Skype and Teams Admin Console (STAC) – that’s what I call it anyway 😉 at https://admin.teams.microsoft.com. …or a direct link here – https://cqd.lync.com. It opens in a new page and asks for you to sign in again. The monitoring reports have remained largely unchanged since they were introduced. 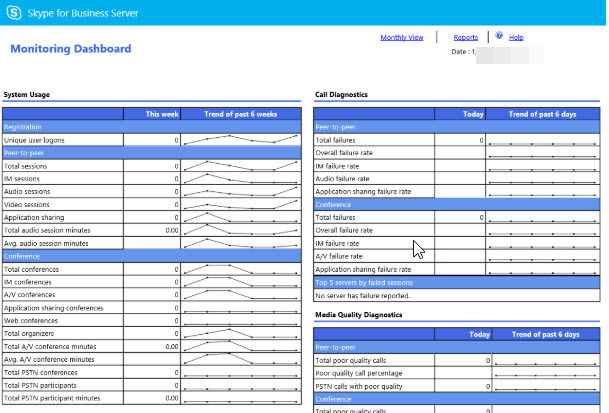 The thing is, you don’t rely on Lync/Skype built-in monitoring reports as a stats tool in the same way you did a call logger like Proteus or Oak. The reports do give you insights, but I would say it is more for admins to troubleshoot and do inventories than for call centre managers. Since the data is just logged in SQL it means that it is possible to extract that data and use another application to slice and dice and produce reports that are meaningful to managers.